Home › FAQ › What is an International Baccalaureate Diploma? While many public schools in the United States strive to provide students across the country with educational programs of the same quality levels through common core standards, some schools have decided to augment their college preparatory activities with the International Baccalaureate Diploma (IBD) program. International Baccalaureate (IB) is a non-profit, global education organization that has developed four programs of study to stretch the boundaries of learning for students ages three to 19. The IBD which is the third in the program series is designed for students ages 16-19. This academic program challenges students to be proactive problem solvers and critical thinkers through its curriculum that stresses both academic and personal development. The IBD program incorporates rigorous global standards into course work, assignments and assessments, and students who achieve top marks are often granted college credit for their efforts, according to the International Baccalaureate Organization. Here are some of the topics covered within the IBD curriculum, an overview of its associated examinations and a brief description of where students can sign up for the IBD program. The IBD program has a comprehensive curriculum that challenges students to explore nearly every academic discipline. The program begins with the Theory of Knowledge course that prompts students to ask questions about the origins of knowledge and to conduct research on evidence that supports their perspectives on that knowledge. Upon completion of the course, students become aware of their own cultural and social biases relating to knowledge which prepares them to appropriately challenge societal norms and respect differing view points that they are bound to encounter in an increasingly global environment. Another unique element of the IBD program is the Creativity, Activity and Service module in which students are required to participate in activities like sewing projects, sports and volunteer work. The remaining courses that students who are enrolled within the IBD program take relate to linguistics, literature, math, science, the humanities, language acquisition and the arts. IBD students are required to take one course from each of the listed categories. A typical educational path for an IBD student could be the study of English literature, calculus, physics, global politics, classical Greek and dance. Students usually complete the program within two years. IBD student progress is assessed externally and internally throughout the program. For example, the IBD program employs modes of external assessment for assigned essay responses, structured word problem answers and short answer questions. Projects and assignments like fine art performances, oral foreign language tests and scientific lab work that require more subjective grading are assessed internally by qualified IBD staff members. Grades in the six academic knowledge areas are given via a point system that ranges from one to seven, and the IBD is granted to students who earn a total of 24 out of 45 points. The Theory of Knowledge module is assessed on a different scale, and the Creativity, Activity and Service module has no point value. The IBD program is offered at public and private secondary schools throughout the world. Since only approved IB schools can offer the IBD program, students should visit the IB website and search for approved schools in their area. Currently, there are no academic requirements or prerequisites for students who want to enroll in the program. A relatively recent goal of many university degree programs is to prepare its students to be ethical leaders in the global economy. 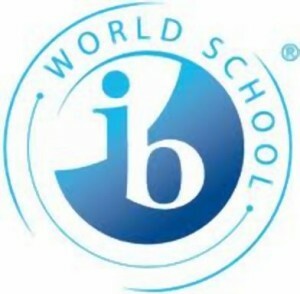 IB recognized early the business trend towards globalization as well as the value of educating students to be effective participants in the global marketplace through its International Baccalaureate Diploma program.